Lanaittu valley is surrounded by the karstic Supramonte mountain range, in central Sardinia. This photo was taken near Tiscali, an archeological site which holds the remains of a pre-historic villag in a sinkhole. 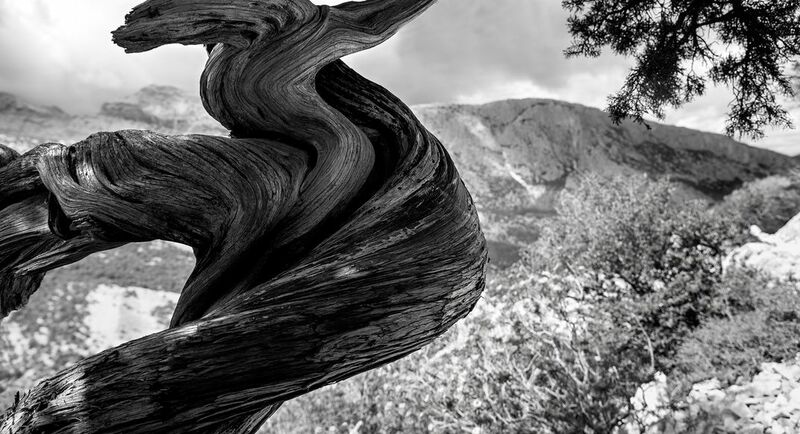 The surrounding mountain is savage, the wind twisted this trunk.